Preston Pittman won his first turkey-calling contest when he was only 16, and he makes the sounds with his mouth. Sadler McGraw uses the "friction" technique. He pulls a "striker" - almost like a screwdriver - across a crystal surface. It sounds for all the world like a Wild Turkey, and it won him the world championship in 2009. BirdNote listeners are taking a once in a lifetime journey to South Africa, and you can join us! Trip details and more at BirdNote.org. “I’ve been fortunate enough to live through two hunting accidents; I’ve been shot twice." [David Letterman:] "So authentic is your gobbling, that somebody has shot you?" 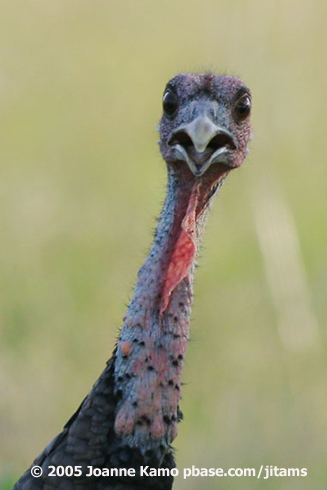 Visit our website, BirdNote.org, to see some hilarious videos of turkey-calling. No foolin’. 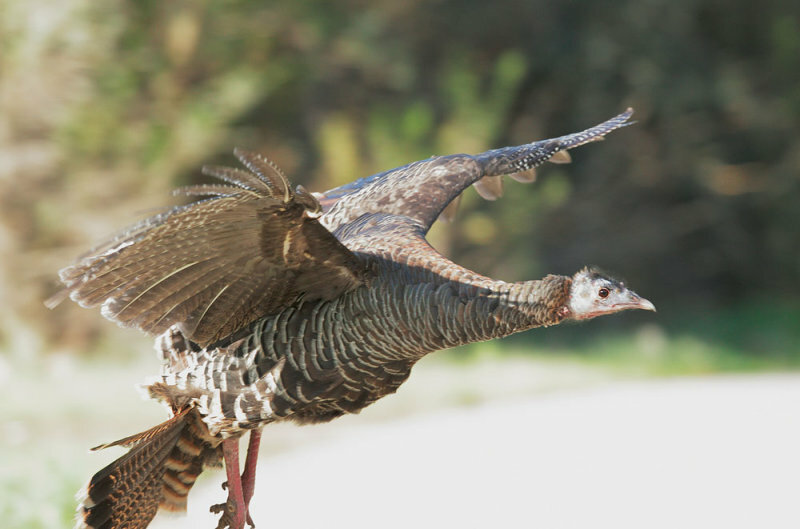 Sounds of Wild Turkey provided by The Macaulay Library of Natural Sounds at the Cornell Lab of Ornithology, Ithaca, New York. 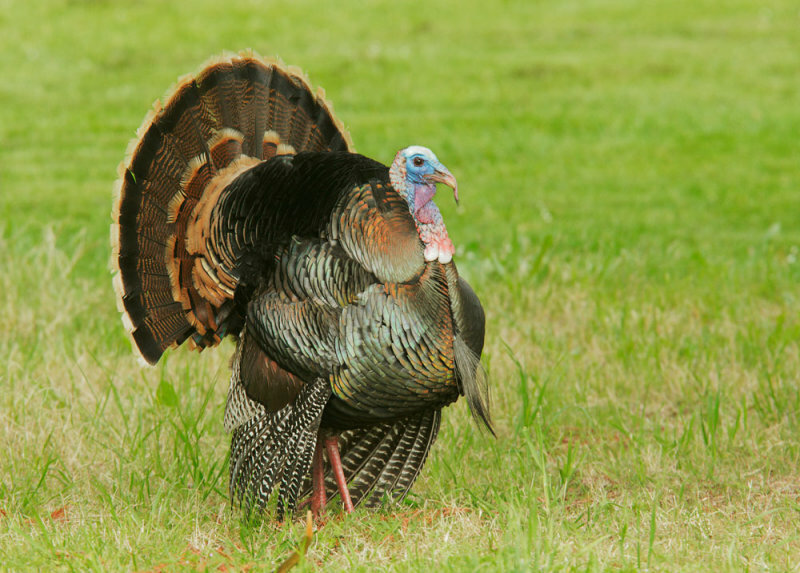 Gobble  recorded by G.F. Budney. Cluck and purr sounds  recorded by D.F. Shreeve. “Kee-kee” call recorded by G.A. Keller.